Clinical trials to reduce pancreatic fistula after pancreatic surgery-review of randomized controlled trials. Comparison of laparoscopic major hepatectomy with propensity score matched open cases from National Clinical Database in Japan. Feasibility of Endoscopic Submucosal Dissection for Submucosal-invasive Gastric Cancer and the Predictors of Residual or Recurrent Cancer. Impact of treatment duration of neoadjuvant FIRINOX in patients with borderline resectable pancreatic cancer: a pilot trial. The effects of rikkunshito on body weight loss after esophagectomy. Circulating nano-particulate TLR9 agonist scouts out tumor microenvironment to release immunogenic dead tumor cells. Hypointense hepatocellular carcinomas on apparent diffusion coefficient mapping: Pathologic features and metastatic recurrence after hepatectomy. Randomized Controlled Trial of Pancreaticojejunostomy versus Stapler Closure of the Pancreatic Stump During Distal Pancreatectomy to Reduce Pancreatic Fistula. Depth of Hepatic Infiltration and Lymph Node Swelling as Factors for Considering Surgery for T2-4 Gallbladder Carcinoma Patients. Survival outcome of salvage hepatectomy in patients with local, recurrent hepatocellular carcinoma who underwent radiofrequency ablation as their first treatment. Long-term surveillance is necessary after operative resection for intraductal papillary mucinous neoplasm of the pancreas. Erratum: Whole-genome mutational landscape and characterization of noncoding and structural mutations in liver cancer. Clinicopathological Characteristics of Young Patients With Pancreatic Cancer: An Analysis of Data From Pancreatic Cancer Registry of Japan Pancreas Society. Treatment Strategy for Borderline Resectable Pancreatic Cancer With Radiographic Artery Involvement. Grade B pancreatic fistulas do not affect survival after pancreatectomy for pancreatic cancer: A multicenter observational study. Whole-genome mutational landscape and characterization of noncoding and structural mutations in liver cancer. Validation of the board certification system for expert surgeons (hepato-biliary-pancreatic field) using the data of the National Clinical Database of Japan: part 2 - Pancreatoduodenectomy. Validation of the board certification system for expert surgeons (hepato-biliary-pancreatic field) using the data of the National Clinical Database for Japan: part 1 - Hepatectomy of more than one segment. Exploratory phase II trial in a multicenter setting to evaluate the clinical value of a chemosensitivity test in patients with gastric cancer (JACCRO-GC 04, Kubota memorial trial). Reconstruction after proximal gastrectomy for gastric cancer in the upper third of the stomach: a review of the literature published from 2000 to 2014. Major neonatal surgery: psychosocial consequence of the patient and mothers. Neoadjuvant Chemotherapy with Divided-dose Docetaxel, Cisplatin and Fluorouracil for Patients with Squamous Cell Carcinoma of the Esophagus. Randomized clinical trial comparing long-term quality of life for Billroth I versus Roux-en-Y reconstruction after distal gastrectomy for gastric cancer. Genomic Sequencing Identifies ELF3 as a Driver of Ampullary Carcinoma. Laparoscopic abdominoperineal resection with lateral lymph node dissection for anorectal melanoma: A case report. Pancreatic neck cancer has specific and oncologic characteristics regarding portal vein invasion and lymph node metastasis. Prognosis after surgical treatment for pancreatic cancer in patients aged 80 years or older: a multicenter study. 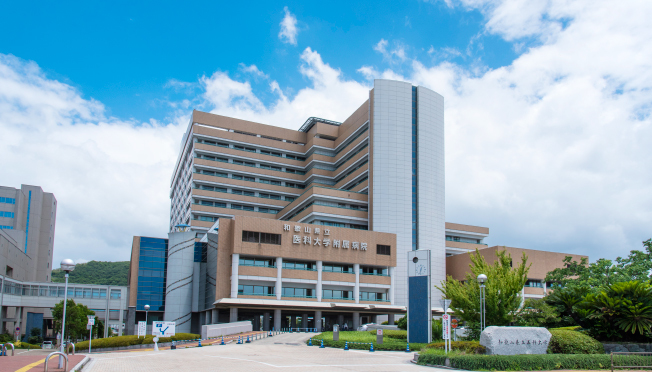 Evaluation of the efficacy of daikenchuto (TJ -100) for the prevention of paralytic ileus after pancreaticoduodenectomy: A multicenter, double-blind, randomized, placebo-controlled trial. Reappraisal of Total Pancreatectomy in 45 Patients With Pancreatic Ductal Adenocarcinoma in the Modern Era Using Matched-Pairs Analysis: Multicenter Study Group of Pancreatobiliary Surgery in Japan. Long-term Survival of Patients With Endoscopic Submucosal Dissection for Remnant Gastric Cancers.